Glacial Vapor has permanently gone out of business. JuiceDB will retain this page and it's reviews for historical purposes. JuiceDB doesn't know what anyone thinks of Glacial Vapor (Closed). Be the first to review this product! 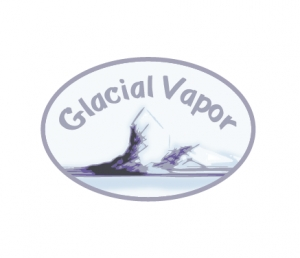 48 reviews for Glacial Vapor (Closed). Definitely live up to the reviews I have read. They are fast reliable and have very good customer service. The juices I tried were methodically put together and were extremely tasty. They had the perfect amount of flavor and vapor. Granted I only bought the 3 top sellers ( or so I thought). The juices were smooth and very well priced for what i got. Overall they deserve a 10/10 for having wonderful customer service, great juices for a great price. Great juices and great customer service! I found these guy online while looking for a local shop/juice supply while I'm home from school, and was anything but disappointed. They reply quickly, followup on customer satisfaction, and go out of their way to ensure quality business. Even though they don't have their own store front, they make quick deliveries, and sell their juices out of e-volution; just a town over. Their 100% VG drip line is awesome! Chris, the owner, is one of the nicest people I have dealt with from any online vendor. He is quick to answer emails and works extremely hard to ensure that his customers are satisfied. I purchased a random sampler pack from GlacialVapors. I fell in love with 5 of the 7 flavors immediately (juices come pretty heavily pre-steep, or at least the sampler did). The other 2 had a custard/cream to them that I am not a fan of. However, a friend of mine (who vapes them almost exclusively) tried them and said they were some of the best he has had. Would absolutely recommend this vendor for any of your juice needs! 10/10! Original they do not ship to Denmark, but after I ask they shipped it to me. They are very friendly and helpful the whole time. It took 3 weeks to get to me. All the juice taste so good. it was worth the money! Also saw this company on reddit not to long ago and gave them a try. The juices were great, great support staff. They have a wide variety of flavors, only some of which I tried. The shipping was very quick and the juices were absolutely delicious, with a mix of complex and simple flavors.